An Italian tradition gets a makeover this spring in Boston. 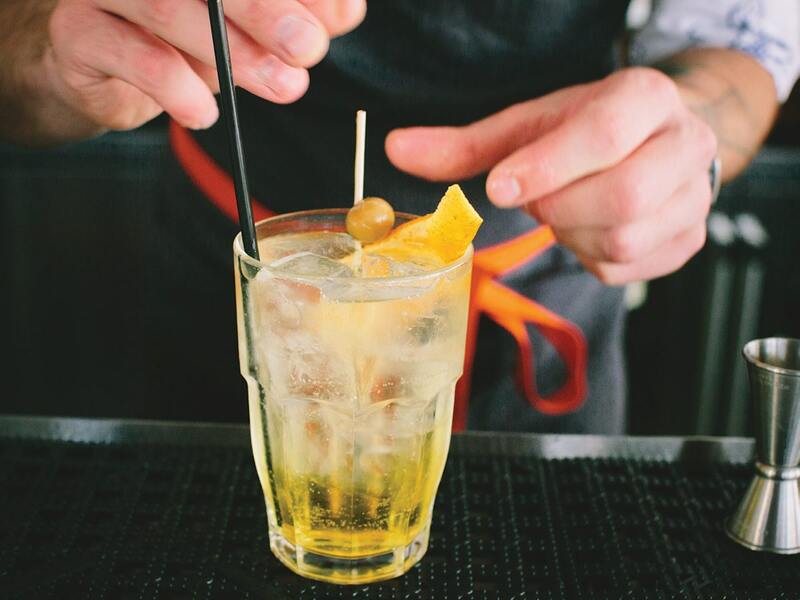 Spritz, the Northern Italian aperitif that’s as fun to say as it is to drink, is getting new life this spring thanks to Boston’s creative mixologists. The cocktail (the key components are white wine and soda water) enjoys its own menu at Capo (443 W. Broadway, caposouthboston.com), where Beverage Director Kevin Mabry mixes up four variations this season, including the Aperol, Rosato, Lambrusco and Fregola. “It’s bitter, it’s sweet, it’s refreshing and it’s downright drinkable,” says Mabry. “To me, the spritz is part festive and part thirst quenching. Plus, it’s a cocktail you could have in succession without paying the consequences of other drink preferences.” Even rosé is being spritzed in Eataly’s (800 Boylston St., eataly.com) indoor piazza with the Spritzata, made with Aperol and Serafini & Vidotto Bollicine Di Rosé. Or, if alfresco is your thing, sip a fruity version of the cocktail on Bar Mezzana’s sunny patio with the Mezzana Spritz, made with peach and campari (360 Harrison Ave., barmezzana.com), the perfect ode to summer, whether you’re in Boston or on the Italian coast.